Tartu Business Advisory Services was created just for you. Put our experience and know-how to work for you! 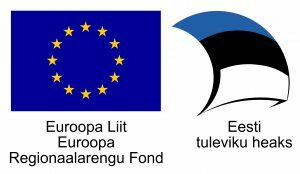 We belong to a network of Development Centres in Estonia. There is an organisation like us in every county (http://www.arenduskeskused.ee/). 130 specialists work daily with the goal to improve local welfare. Your day-to-day activities run more smoothly when you have the right information. You can bet on us – we know what we are doing. At least 3 hours of consultations is free of charge to everybody. Learn more about entrepreneur, nonprofit, youth lab and investor activities! You need knowledge to grow efficiently. Maybe you find something that helps you boost your field of activity! Upcoming events can also be found from our Facebook page. We gather every bit of useful information that helps develop Tartu County. This means that you do not have to google about support measures. Just ask us! We have very good understanding what is happening in the economy. Put that information to good use! Tartu Business Advisory Services deals with business and development projects that contribute to overall development of Tartu County. We start, prepare and manage different projects. If you have a good idea in the fields of business, nonprofit, investing or youth activitites, contact us. For inspiration you can take a look at our ongoing projects.